The warmer weather is here and spending more time outdoors means more chances to encounter ticks and tick-borne diseases. Here on Long Island deer ticks are almost everywhere there are trees and grass, so learning how to handle tick bites is important for keeping you and your family safe. 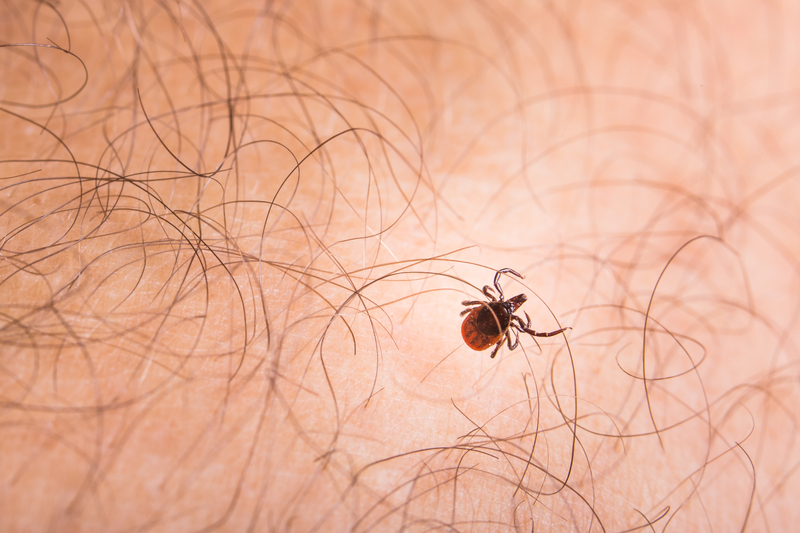 Tick bites can spread a number of infectious diseases such as Lyme, Rocky Mountain Spotted Fever, Ehrlichiosis, and more. It’s very important to check for ticks every time you come in from the outdoors; the longer a tick remains on your skin, the better the chances for it to spread disease. If a tick has bitten you and you think it has been in place for more than 24 hours you should call your doctor. Ticks are small—particularly the deer tick—sometimes the size of the period at the end of this sentence, so they can be hard to spot; be sure to look carefully because of the danger of them transmitting diseases. If a tick has bitten you recently you will want to remove the tick as quickly as possible. There are myths about removing a tick such as smothering a tick with petroleum jelly or burning it off with a match, but those are NOT how to remove a tick. In fact, doing those things can make the tick burrow even deeper which is something you definitely don’t want to happen. Grasp the tick firmly with tweezers, as close to the head as possible. Pull firmly and steadily until the tick lets go, but do not twist or rock the tick as you pull. Use a smooth motion. If part of the tick breaks off, don’t worry, it will work its way out on its own. After removing the tick, wash your hands and the site of the tick bite with soap and water. Finally, swab the bite site with alcohol and place the removed tick in a plastic bag and call your doctor. The doctor may want to see the tick, so it’s important to keep it and date the plastic bag. Your doctor may want to prescribe antibiotics right away to help prevent Lyme and other bacterial diseases from taking hold. 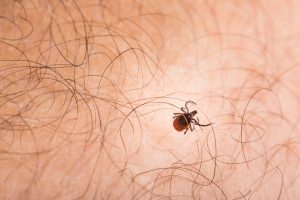 According to the Centers for Disease Control and Prevention, the best way to avoid ticks is to wear long sleeve shirts and pants and to stay out of grassy and wooded areas. This can be hard though, especially in summer, so getting your yard sprayed for ticks is the next best thing. This allows you to enjoy summer without having to worry about wearing extra layers. Companies like Aronica Plant Healthcare will use an organic, family and pet-friendly spray that keeps the ticks away and helps to keep you safe from disease.